Welcome to the third section of my vacation in Hong Kong in March 2012. The topics that will be covered in this section will mainly be our visit towards Ocean Park and Tung Chung, two of my morning train rides on the Airport Express and visiting Pioneer Centre near Mongkok. The next morning, which was on Monday (12 March), I woke up at 8 o' clock in the morning. I had a shower and did some things on my laptop computer before going up to The Horizon Club for breakfast. According to my family, we would going to Tung Chung later that day. I decided to take the Airport Express again before heading to Tung Chung. However, instead of doing the usual three rounds, I decided to do only two rounds. My itinerary would be to complete my second Airport Express round at Tsing Yi Station, then change to the Tung Chung Line towards Tung Chung. I then left the room at 9.20 a.m. to head to Tsim Sha Tsui Station via the passageway from East Tsim Sha Tsui Station. As I knew, to get the Airport Express from Central Hong Kong, I had to take my usual Tsuen Wan Line route between Tsim Sha Tsui and Central, then walk along the passageway between Central and Hong Kong Stations to reach the Airport Express platforms. After passing through the ticketing gates, I was on the Tsuen Wan Line platform towards Central by 9.35 a.m.. Immediately, I caught the nearest train bound for Central, and was on my way to Central Hong Kong. At 9.40 a.m., I arrived at Central Station. I walked past the Island Line platform towards Chai Wan, and walked along the passageway to Hong Kong Station. It was a relatively quick walk although there were many commuters during the morning rush hour. I managed to arrive at the Airport Express concourse via the elevator at 9.55 a.m.. I was just in time to catch the 10 o' clock Airport Express train bound for AsiaWorld-Expo. During the first round, I decided to stop for a shopping and drink break at Hong Kong International Airport. Immediately, I grabbed a seat in Car No. 1 (E109) at the AsiaWorld-Expo end. At exactly 10 o' clock, the Airport Express train bound for AsiaWorld-Expo, finally pulled out of Hong Kong Station. I was then on my way for a 24-minute journey to Hong Kong International Airport. Here are some pictures and videos which will explain the first half of my first round. After 24 minutes of travel on the Airport Express train from Central Hong Kong, I finally arrived at Hong Kong International Airport at 10.24 a.m.. I alighted the train to stop for a shopping and drink break. 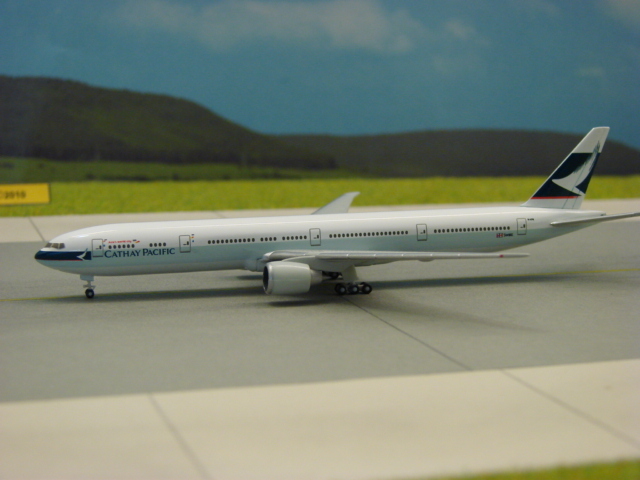 After purchasing my commercial aircraft models, I decided not to eat anything at the airport, as I knew that I was about to have lunch with my family once I arrived at the Citygate Outlets Tung Chung. I then decided to go down to Delifrance Cafeteria located in the arrival hall for a hot beverage. While resting at Delifrance, I ordered a glass of hot chocolate for myself. After a 1-hour layover at the airport, I walked back to Hong Kong International Airport Station. I decided to catch the Airport Express train that would leave the airport at 11.48 a.m. for Central Hong Kong. I decided to take some pictures and a video while waiting. After 15 minutes of waiting, the 11.48 a.m. Airport Express train bound for Central Hong Kong finally entered Hong Kong International Airport Station at 11.45 a.m. on Track No. 2. I then boarded the train through Car No. 7 (J409) at the Hong Kong end, and found my usual seat. At exactly 11.48 a.m., the train finally pulled out of the airport. I was then on my way back to Central Hong Kong to begin my second Airport Express round of the day. After 24 minutes on the train from Hong Kong International Airport, we finally arrived at the Hong Kong terminal station at 12.12 p.m.. I then did my usual carriage changeover in order to prepare for the beginning of my second round. The train would depart Hong Kong Station at 12.20 p.m. for another journey to AsiaWorld-Expo. I was to complete my second round once I reached Tsing Yi from AsiaWorld-Expo, then change to the Tung Chung Line for the sector between Tsing Yi and Tung Chung. The Airport Express platform of Hong Kong Station, with a train about to depart at 12.20 p.m. The Airport Express carry-on baggage rack while waiting for departure at 12.20 p.m.
At exactly 12.20 p.m., the train pulled out of Hong Kong Station for another 28-minute journey to AsiaWorld-Expo. I then began my second and final Airport Express round of the day. Here are some pictures and a video during the first half of my second round. After a 28-minute journey from Central Hong Kong, I finally arrived at the AsiaWorld-Expo terminal at 12.48 p.m.. The train would then depart back to Central Hong Kong at 12.54 p.m.. However, I suddenly realised that I had yet to have a bathroom break. So I decided to stop for a short bathroom break at AsiaWorld-Expo and catch the 1.04 p.m. (13 04) Airport Express train bound for Central Hong Kong to Tsing Yi. By the time I was back on the platform, the Airport Express train, that would depart for Central Hong Kong at 1.04 p.m. (13 04), arrived at 12.58 p.m.. I then boarded the train through Car No. 7 (J411), found my usual seat, and settled in for the journey to Tsing Yi, which would take about 18 minutes. I knew that my final Airport Express round of the day would terminate at Tsing Yi. Upon arrival at Tsing Yi Station, I would connect to the Tung Chung Line to get to Citygate Outlets Tung Chung. The Tung Chung Line is one of the 10 MTR lines operating in Hong Kong. It mainly links Hong Kong Island with Tung Chung New Town in Lantau Island, close to Hong Kong International Airport. A part of the Tung Chung Line was constructed along the Tsing Ma Bridge and the Kap Shui Mun Bridge. It takes approximately 27 minutes between Central Hong Kong and Tung Chung New Town with the Tung Chung Line. The Tung Chung Line currently uses 12 8-car A-Stock train sets, manufactured by Adtranz and CAF in Spain, and 4 8-car K-Stock train sets, built by Mitsubishi Heavy Industries in Japan and ROTEM consortium in South Korea. At exactly 1.04 p.m. (13 04), the Airport Express train pulled out of AsiaWorld-Expo Station for a 28-minute journey to Central Hong Kong. I was then on my way to Tsing Yi Station. Here are some pictures and a video which will explain the second half of my second and final Airport Express round of the day. After a journey of 18 minutes from AsiaWorld-Expo on the Airport Express, I finally arrived at Tsing Yi Station at 1.22 p.m. (13 22). I then alighted the train and decided to film a video of the trains departure before taking the elevator up to the Tung Chung Line platform towards the Disneyland Resort Line and Tung Chung. Tsing Yi Station is an MTR station located in Tsing Yi Island, Hong Kong. It serves as an interchange station for the Airport Express and Tung Chung Line. Tsing Yi is also a major interchange for buses and taxis are situated on the side of the station. It is a hub for the New Territories, like Tsing Yi, Tuen Mun, and Tsuen Wan. After I snapped the Airport Express departure video, I went out through the ticket gate and took the elevator up to the Tung Chung Line concourse of Tsing Yi Station. I was on the platform towards the Disneyland Resort Line and Tung Chung at 1.30 p.m., and waited for the train bound for Tung Chung to arrive. At 1.36 p.m. (13 36), a Tung Chung Line A-Stock train bound for Tung Chung entered Tsing Yi Station on Track No. 3. I immediately hopped onto the train and prepared for the journey to Tung Chung, which would take 14 minutes. The train would then make a brief stop at Sunny Bay Station (a station which I easily target to pass through on the Airport Express when making videos) along the way. I was then on my way to Tung Chung after the doors were closed. Sunny Bay Station is an interchange MTR station located in Yam O, Hong Kong. It serves as an interchange station for the Tung Chung Line and Disneyland Resort Line towards Hong Kong Disneyland. The station opened for service on 1 June 2005, for the Tung Chung Line, 2 months prior to the opening of the Disneyland Resort Line, which opened on 1 August 2005. It is one of the MTR stations to rely on the open surroundings to keep the temperatures low. The Airport Express passes through the centre of the station without stopping. This MTR station also features two platforms for emergency use for the Airport Express. It is also the only MTR station in Hong Kong that looks like a high-speed railway station, such as a Shinkansen station in Japan. Occasionally, intermediate Tung Chung Line trains in any direction would be shunted into Sunny Bay Station for approximately 2 to 3 minutes. This is to allow the faster Airport Express train services to pass through the station without stopping. Sunny Bay Station is also an easy target for me to pass through while filming videos on the Airport Express between Tsing Yi and Hong Kong International Airport. 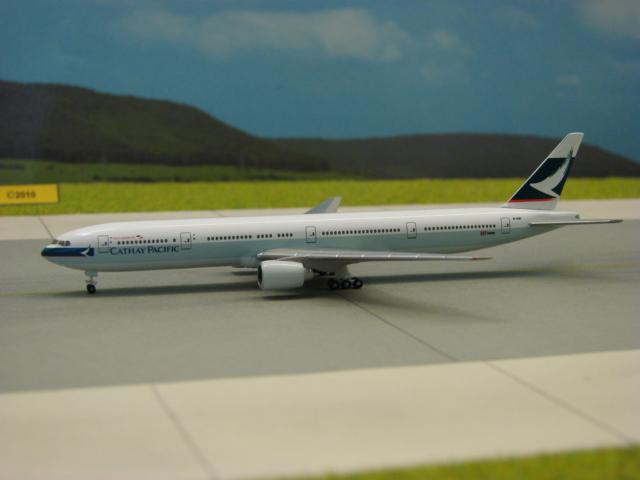 However, based on what other bloggers said, there are certain problems faced by the Tung Chung Line and the Airport Express. The platform tracks are slightly longer than the platforms themselves. This results in certain Airport Express train services being delayed when a Tung Chung Line train is routed back onto the main line in front of it. To resolve the problem, if a Tung Chung line train stops at Sunny Bay Station, and there is an Airport Express train somewhere just behind it, this is how it should go. The Tung Chung Line train should allow the Airport Express train to pass through Sunny Bay Station first (overtake the Tung Chung Line train in a sense); then the Tung Chung Line train can resume its route on the main line. This is to help avoid disruptions to the MTR timetable. After 14 minutes of travelling on the Tung Chung Line from Tsing Yi Station, I finally arrived at the Tung Chung terminal station at 1.50 p.m. (13 50). I then alighted the train and went up to Citygate Outlets Tung Chung. Tung Chung Station is an MTR station serving Tung Chung New Town, near Hong Kong International Airport in Lantau Island, Hong Kong. It serves as the western terminus for the Tung Chung Line from Central Hong Kong. It is also a transfer point for passengers using the Ngong Ping 360 Cable Car. Citygate Outlets is an outlet shopping mall that is located in Tung Chung, near Hong Kong International Airport in Lantau Island, Hong Kong. Opened in April 2000, it is the only outlet mall in Hong Kong. The mall was simply known as 'Citygate' between April 2000 and August 2006. I met up with my dad and my brother at the Häagen-Dazs ice-cream cafe beside the main entrance to Tung Chung. According to my dad, we did not have to go up to Ngong Ping as my mum arranged for a special priest to chant several prayers for us to help guide us through our future examinations. The Ngong Ping 360 Cable Car, at that time, was temporarily closed for maintenance between February and April 2012. This was because of a technical fault that occurred a few months earlier, in January, shortly after the Chinese New Year holiday. My dad and I, along with my brother, then went upstairs to the top floor to find a good Chinese restaurant for lunch. We then found a restaurant called Federal Palace, which was formerly known as Eastern Gate Seafood Restaurant between 2000 and 2010. When we arrived at Federal Palace, we requested for a table for four people. After waiting for a few moments, we were directed to a table on the main floor of the restaurant. The waitress then supplied us with the food and beverage menus, and we took a look at them, while waiting for my mum. When my mum arrived at Federal Palace, she too had a look at the food and beverage menu. A waitress then came to our table to take our orders. We ordered several dim sum and meat dishes. It was a nice and hearty lunch at Federal Palace. Among the notable dishes we ordered was a nice roasted pigeon. This would be my first time eating a pigeon in my entire life. My dad was happy eating one too. Ironically, he mentioned that he did it as revenge against them, as pigeons frequently drop their dung (faeces) on his cars. This makes some of my school friends sarcastically say that the consumption of a pigeon is illegal, as a pigeon is supposed to represent peace (a dove is peace representation, not a pigeon). In reality, however, it is NOT illegal to consume a pigeon. After having a good lunch at Federal Palace Citygate Outlets, I was getting tired from my trips on the Airport Express MTR Line. I then told my parents that I would be heading back to the Kowloon Shangri-La Hotel for a rest. They then told me that they would be shopping around Citygate Outlets for a while. To get back to the Kowloon Shangri-La Hotel, my itinerary would be to take the Tung Chung Line between Tung Chung and Nam Cheong. I would then transfer to the West Rail Line (KCR West Rail prior to December 2007) at Nam Cheong to East Tsim Sha Tsui Station. Very nice information you have given about Hong kong holiday trip through your impressive blog post. It will be helpful for whom they are planning to spend their vacation in Hing Kong.